﻿Today marks an additional year to the year we got married. Think of the number of anniversaries we’ve had from the first year we got married. Is it 5, 10, 15, etc. Our love for each other will take us to anniversaries of 30, 35, 40, 45, 50……..100 and even more. The only thing that can put us apart is death. We drink to our wedding anniversary. Love turned us into poets by its first touch. I remember your smile became my poetry and my voice became your poetry. Courtship kept us apart but our hearts kept us together. Remember the number of doors I opened just before you got to them. I pull back dining chairs so you can slide in easily. I won’t forget those stare that sets my heart racing excitedly. Your warm enchanting smile of approval that confirms your love for me. Words unspoken echoed through our appreciation of each other. Your right hand caressed my right hand with a reassuring tone of voice “I’ll love you till the end of time”. Our thoughts go back to our wedding day. We took our vows of togetherness till death do us part. The dance steps with which we graced the floor. Our wedding cake of hearts goes around. We close our eyes and see our families, friends and, well wishers all happy to associate with us on our wedding day. We longed for the wedding party to be over so as to be immersed in what love has made of us. Our pet name intrigues, tickles and, riddles the intellect of our friends and well wishers.We reminisce on our wedding anniversary. We had had several anniversaries. With some we gave the sky a new color while with some we could not even find the sky. We did not count moments but we made every moment count. There are moments we danced and we simply dance ourselves to love zone. We cause ourselves pain but then wipe each other’s tears with sincere words of “I am so sorry”. In the wake of our anniversaries, you bore the apron of womanhood. You are not a vacant carriage but one blessed with the fruit of the womb. Your tongue has instill moral values on our two bundles of joy. Your homely disposition makes our home a haven to miss when away. Away from you makes my heart even fonder! 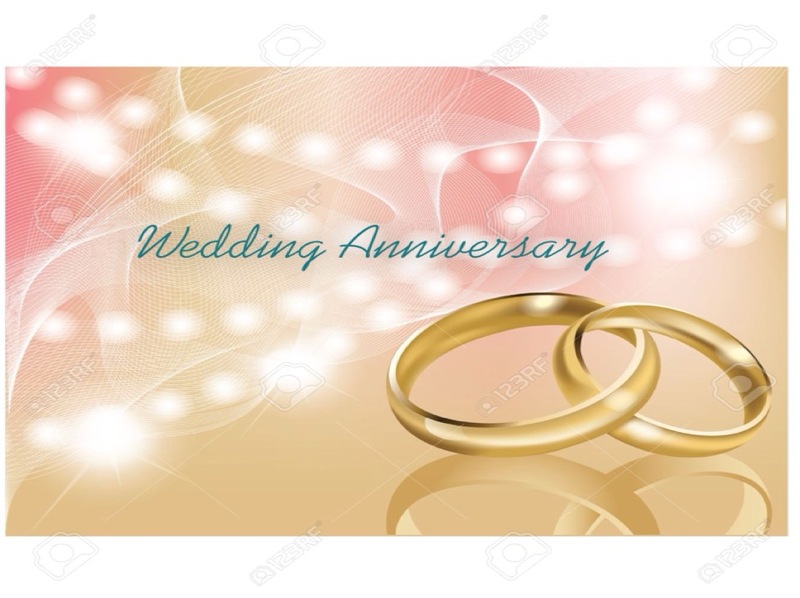 It’s an anniversary not because we’ve lived up to this day but an anniversary because of the life we’ve lived all the days of our married life.We do not wish our wedding anniversaries to be like others but we make our wedding anniversaries to be wished for by others. Herewith you herewith our wedding anniversary, I can see that several past anniversaries have had a toll on your shimmering beauty but your heart shimmers even better. Your smile still gives me the chills as at when we’ve not start counting wedding anniversaries. I can still feel your heart throbbing at every touch, every embrace and, every kiss like when we had our very first wedding anniversary. As the years counts on, we’ve loved spending time not just in bed but also in the kitchen, doing chores around together in our home. We do not query who did or did not remember our anniversary date. Our wedding anniversary always mark us even when we don’t mark our wedding anniversary. Our wedding anniversary is an anniversary that decorates every life we’ve lived together as one through the year and years. Every wedding anniversary we have, is an achievement of successfully living together as one happy family.